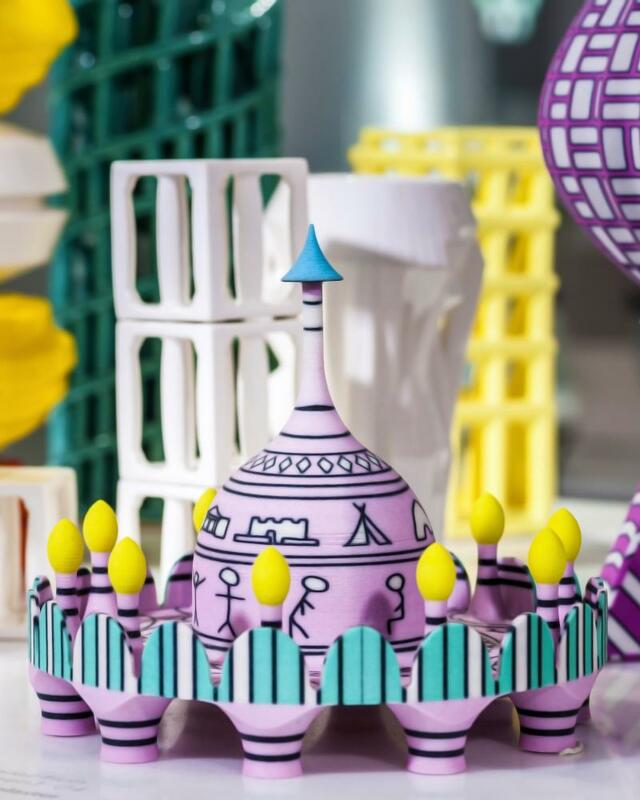 Adam Nathaniel Furman designs polychromatic 3D-printed ceramics in the shape ofminiature classical monuments. Rural Office for Architecture works from a rebuilt barn in west Wales and operates an apprentice system to train school-leavers and others – a former concrete mixer operative, for example – to be architects. Paloma Gormley and Lettice Drake of Practice Architecture make a theatre out of straw bales in a disused car park. Sam Causer hangs pink curtains from an Edwardian wind shelter in Margate, as part of a plan to bring out the best qualities of the town’s seafront. Jay Gort and Fiona Scott design the prettiest public toilet that Wembley, or indeed most places, has ever seen. Orkidstudio helps single mothers in Kenya to start a dairy farming business, to help pay for the homes that they need. There are many ways to be an architect. There are possibly more ways to be a young architect (or, in the infelicitous term often used, “emerging” architect – somehow reminiscent of birthing cows – or, in the Architecture Foundation’s usage, “new” architect). For it takes ingenuity to form your (beautifully detailed) niche in the granite walls erected against career progress in this profession. Often, you have to create your own commissions, or take on projects not considered architecture by more established practices, or exercise extreme ingenuity with nonexistent budgets. The Architecture Foundation is bringing out New Architects, a survey of nearly 100 of the brighter young/emerging/new sparks in Britain, the third of its kind but the first since 2001. The word “new” is carefully chosen, as not everyone in the book is especially young. Some, for example, are past the age at which Charles Rennie Mackintosh executed the last work of his epoch-making oeuvre, the improvement of a house in Northampton, before he retired to drink and paint in France. The qualification for entry is that a practice should be under 10 years old. The book does, however, produce the desired effect of giving a snapshot of what less-established names can and might, given the chance, do. 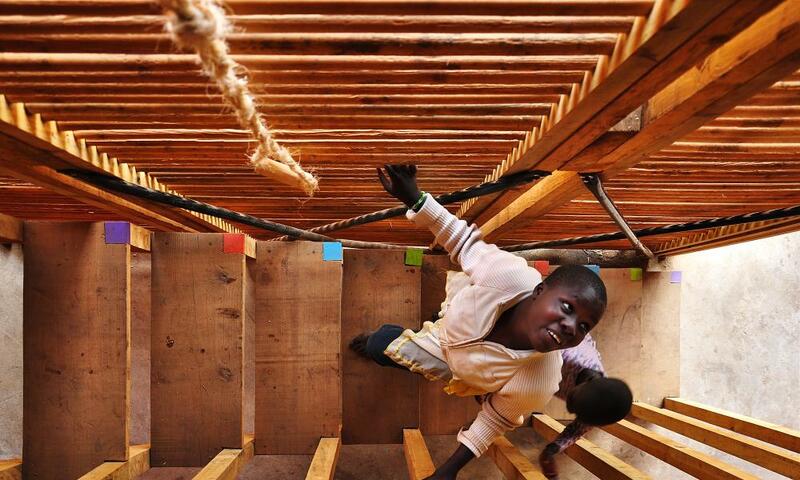 Orkidstudio’s James Mitchell, in his first year at architecture school in Cardiff, found himself “frustrated by its disconnect from hands-on building” and went off to Uganda to help build a community kitchen. At first he could offer only ignorance and raw labour – “I learned everything from them” – but now, less than a decade later and still under 30, he is involved not only in the design of schools, health centres, homes and orphanages, but also in their construction and funding. He has carried out projects in Sierra Leone, Zambia and Cambodia, but is now basing his office in Nairobi so that he can concentrate on east Africa. These architects find they have to put enormous efforts into constructing their situation before they can start on what is normally considered the central skill of architects, which is to design constructions. They are reacting against and circumventing current ways of procuring buildings whereby, marginalised by ever more elaborate structures of project managers and other consultants, architects become, as Maxwell puts it, “glorified draughtspeople”. One obvious question hovers. Why is this resourcefulness and skill not applied more extensively? When they do get round to designing a building, they show craft and invention and an openness to almost any style or technique going. The days when architects slavishly adhered to the dominant style of modernism, if they ever existed, are long gone. Furman, for example, is inspired by Rome, where he has been a visiting scholar at the British School. It’s a city that is “suffused by the most extraordinary architecture”, and where he discovered, among others, “the completely mad, horror-filled neo-baroque” of the Mussolini-era Armando Brasini. In Rome, he says, there is so much history that it has “collapsed in on itself and become irrelevant”. The consequences of his experience include his ceramic mini-monuments and the makeover of a maisonette in Bristol, where paint and clever planning bring out a range of spaces slightly like the Baths of Caracalla, only compressed. Rural Office for Architecture is more chaste. With Gormley and Drake’s company Practice Architecture, the look tends to express the ad hoc construction techniques they employ. Gort Scott wields controlled playfulness, for example in carefully playing with the fenestration rhythms on an office building for Jesus College Cambridge. Orkidstudio’s aesthetic comes from the rough materials and construction techniques they, of necessity, use and the strong light and shadow of tropical climates. Sam Causer can do neat modern details – flush veneered panels, skinny steel window frames, large glass panels – and then throw in something from the realm of art installation, such as a rough wall of silver birch trunks, with bark still in place. They are equally diverse in their ambitions for their work. If Orkidstudio has a clear social purpose, Furman recoils from the idea that he might change society. “No, no, no, no, no, hell no, no,” he says. Rather, he wants “to make life a little better and give a little bit of pleasure”. Maxwell doesn’t want to change the world but to do his stuff and make a local difference through his apprenticeships. In all this, one obvious question hovers. Why is this resourcefulness, skill and desire for betterment not applied more extensively? Why do these architects have to labour so much even to get to the starting line, and why do they so often have to place themselves at the margins to do what they want? In the 1950s, architects of this age and ability were entrusted with designing housing for hundreds or thousands of people. Norman Foster, who writes an introduction to the book, created his first masterpiece in his mid-30s, an office building in Ipswich that is now Grade I listed, but there is nothing in the book of comparable power. Something that Furman likes about architecture is that “people that I literally worship are still learning at 90 and doing amazing things”. It’s just as well.